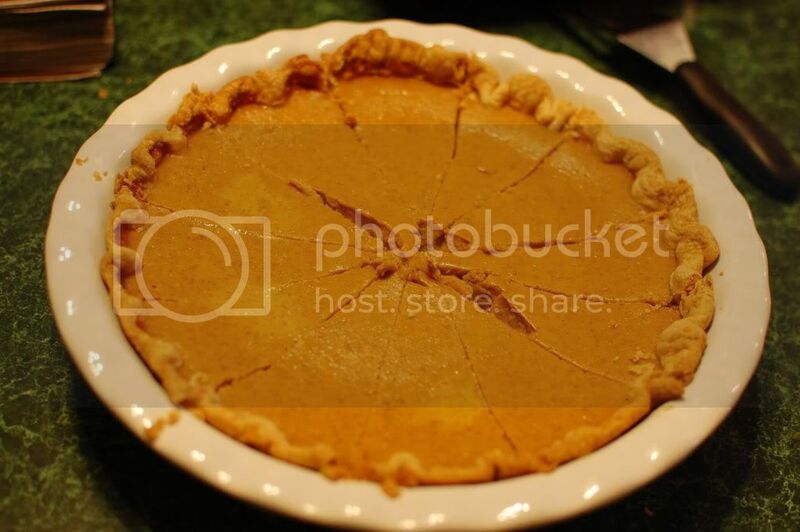 We made our first ever pumpkin pie this weekend. So, I thought I'd share the recipe with you in case you are looking for an easy dessert to add to your thanksgiving meal. 7. Cool for 2 hours. Serve immediately or refrigerate. Recipe found on the Libby's pumpkin can. This would have been really great with a dollop of whipped cream on top.